More than 20 thousand children who came to watch the match. / Facebook Futbol con valores. 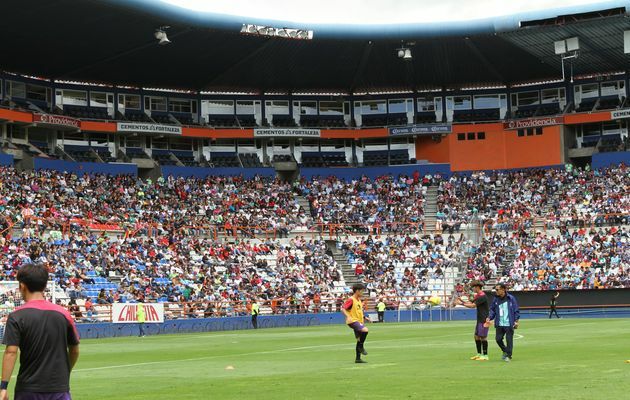 The Mexican stadium of Hidalgo vibrated with the presence of more than 20,000 children who came to watch the match between the Under-20 teams of the Tuzos of Pachuca and the Ansan Hallelujah FC team from South Korea. From early on, the children accompanied by their parents enjoyed the friendly match called “Football with values”. The families were thrilled with the moves of the young players, who played at a high level on the court. The famous “Ola” made by the fans was also present during the match at the home of the Tuzos, showing the hubbub that characterizes the Hidalgo fans when they support their team. 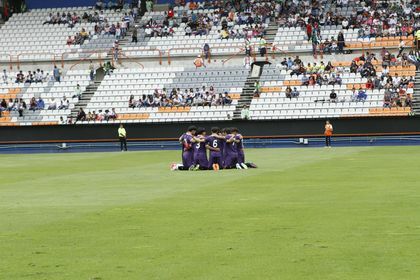 The U-20 Tuzos of Pachuca won the game 3-0. The head of the State Planning and Prospecting Unit, Laman Carranza and the South Korean Consul, Young Ju Moon, were present at the match. The Pachuca and Ansan Hallelujah FC teams, along with the Christian organisation 4/14 Window, were the organisers of the event. 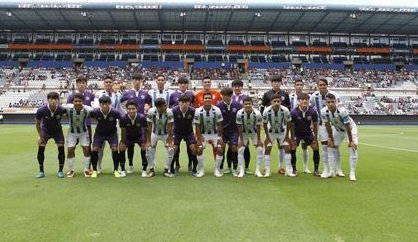 Under-20 teams of the Tuzos of Pachuca and the Ansan Hallelujah FC team from South Korea. / Facebook Futbol con valores. The 4/14 Window is a global Christian mission movement focused on evangelizing children between 4 and 14 years old. It focuses on children at that age because they “are usually the most open and receptive social group to the development of their spiritual life”. The South Korean team praying after the game. / Facebook Futbol con valores. During the half-time, Window 4/14 project's Director, Nam Soo Kim, briefly shared about the Christian faith with the audience. In the press conference prior to the game, he said that the aim was to “see the whole family in this sporting event, Window 4/14 seeks to bring a message of peace and hope to society”. Meanwhile, Korean team coach Lee Young pointed out that they “have taken this same concept of friendly matches to 23 stadiums from different countries, this is the first time we visited Mexico and it will be a great honor to play against the Tuzos”. The Korean team is very active in social work, they visit orphanages and hospitals in every country where they play, bringing love and hope to childen of their age.